New York has long been known as a world capital of the elegant, super-glamorous Art Deco style. The glorious Chrysler Building and flamboyant Radio City Music Hall are well-known examples. 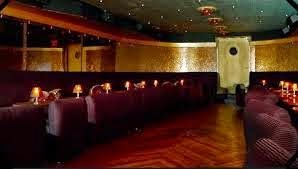 Less heralded but equally swanky are the city's Art Deco night spots, a small sample of which are featured below. Cheers! 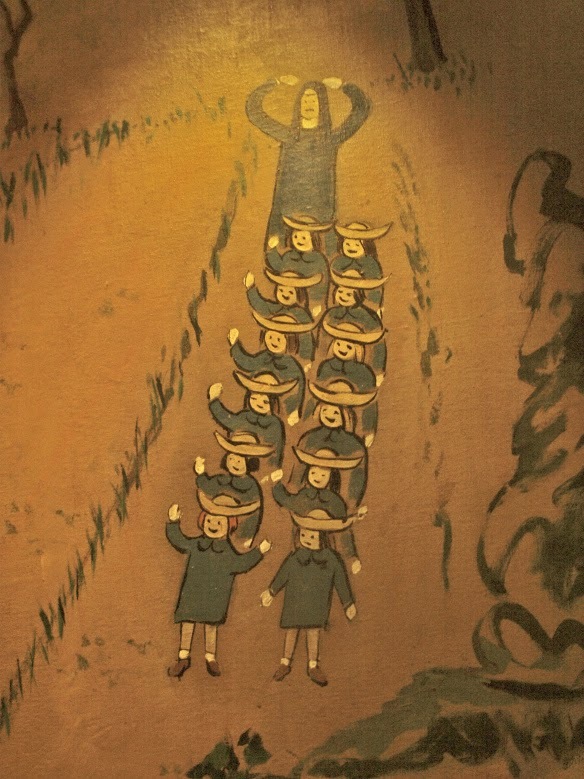 Named in honor of Ludwig Bemelmans, the creator of the classic Madeline children’s books, Bemelmans Bar demonstrates its Art Deco sensibility with chocolate-brown leather banquettes, nickel-trimmed black glass tabletops, a lustrous black granite bar and gold leaf-covered ceiling. 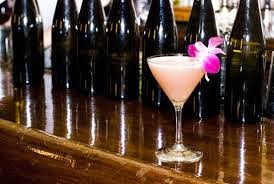 "The smallest one was Madeline ..."
The Flatiron's pink martini with orchid ornament ... tres chic! 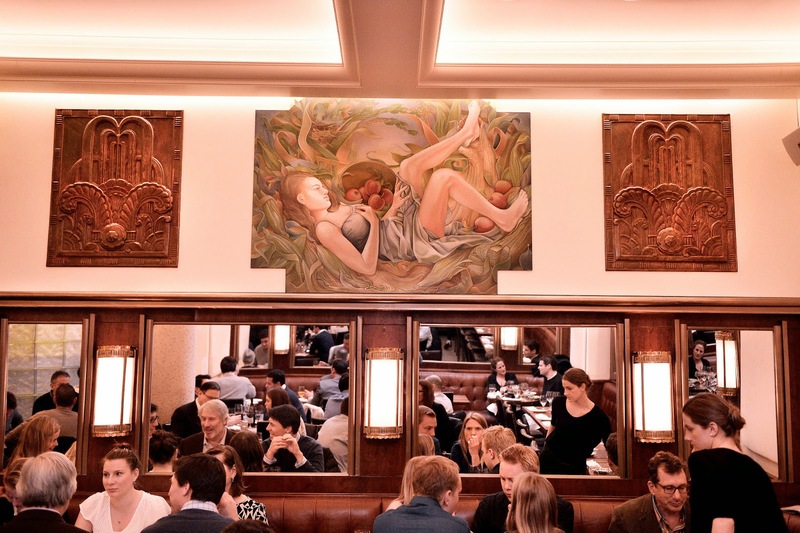 decorated to evoke the atmosphere of a Prohibition-era speakeasy. 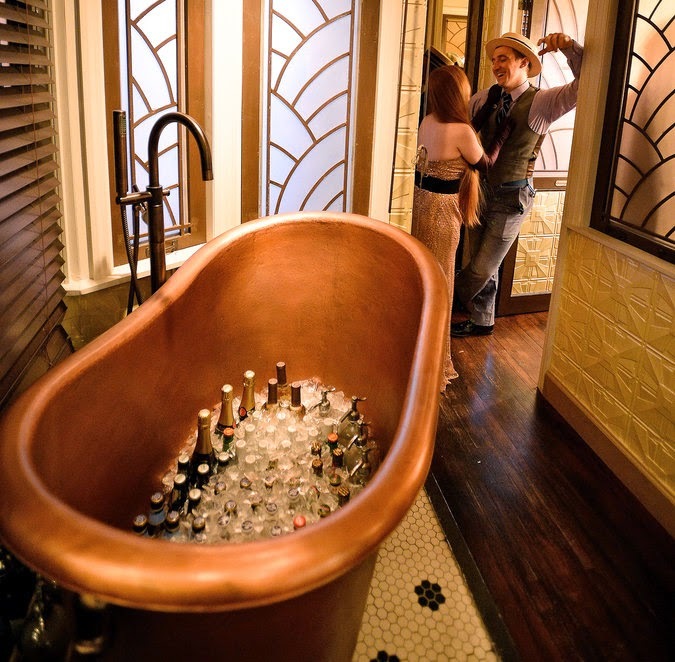 Art Deco touches include the etched glass motif and a copper gin tub. 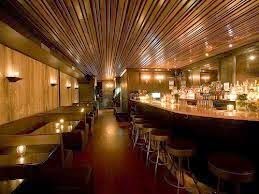 Below: Wood-framed booths at Commerce in the West Village. Wall sconces came from a 1934 municipal building. "Where the Password is Deco"